Civilization Revolution on the Xbox 360 was my very first exposure to the Civilization franchise. The very first time I played it I was addicted. There was just something amazing about trying to set up the perfect defenses to keep your Nation alive before venturing out and engaging in little skirmishes to raise the experience levels of your armies as you advance your technology and eventually make a play to rule the world. Going from Civ Revolution to Civ V on the PC was quite the shock. Not only is it a lot slower paced, there’s a lot more to manage and keep track of. I’m not saying this is a bad thing, but it’s not necessarily a quick fix type of game. At first I couldn’t get a grasp on Civ V as it was just too different (for example, being unable to stack troops makes it very difficult to navigate into tight spaces and launch an attack). Now I love Civ V just as much as I loved Civ Revolution, it’s just very time consuming. 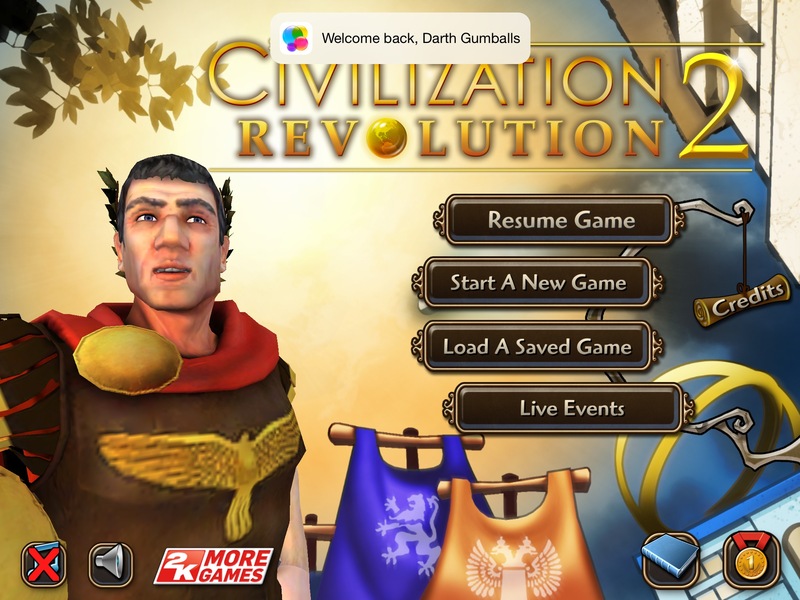 Enter Civilization Revolution 2, the $14.99 iOS exclusive (for the moment). Having such an amazing game available at any time on my iPad is amazing, and it’s worth every penny, if not more. The game looks and plays almost exactly like the 2008 console release, with a few additions and improvements. 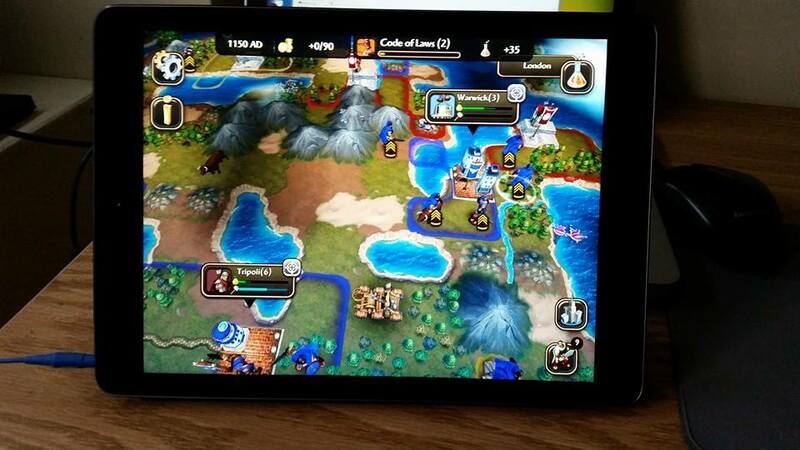 Playing a Civ game on a touch device is easy, and intuitive. Tap a troop and tap where you want it to go. 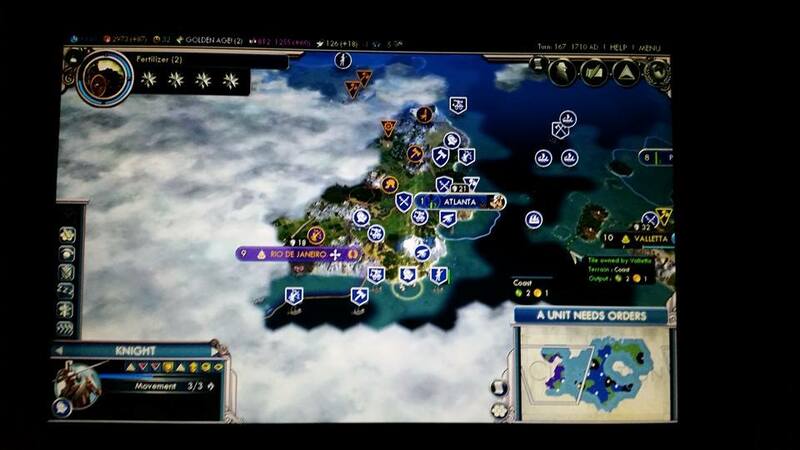 Everything comes naturally, I don’t think I could ever go back to playing Civ Revolution with a controller. It also runs quite smoothly on the iPad Air and looks great all the time. I’ve already sunk something around 10 hours into Civ Revolution 2, and I’ve loved every minute of it. The only problem I have is putting it down. Most people come to expect mobile games to be quick fix games, but mobile gaming has come a long way since Angry Birds. You now have full featured games on mobile devices as opposed to stripped down iterations. A few of my Civ Revolution 2 games have lasted three hours or longer and the time flew by before I realized it. I’ll tell myself ‘just one more turn’ and before long I’m 50 turns deeper. Beware Civ Revolution 2’s addictive properties. Recently after finishing a 3 hour Civ Rev 2 game I immediately jumped onto my MacBook and began a Civ V game. If you have an iOS device I highly recommend purchasing Civilization Revolution 2. You’ll get countless hours of enjoyment out of it if you enjoy strategy games or Civ games. If the PC versions of Civilization have intimidated you I also suggest you check out Civ Rev 2 as it’s much easier to get into and you’ll be having fun before you know it. This entry was posted in Apple, iOS games, Video Games and tagged Civ 5, Civilization, Civilization Revolution, Civilization Revolution 2, ios, iPad, video games. Bookmark the permalink. Diablo III Ultimate Evil Edition, where are my Infernal Pauldrons?